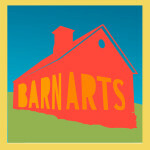 We are amazed and excited to share with you that BarnArts is entering its 8th season! What began as an idea in 2012 is now a thriving arts organization, in no small part due to your support. Support comes to BarnArts in many ways: some donate time or share facilities, materials and expertise; many donate money to help cover overhead expenses and keep our ticket prices low and affordable, assuring all can attend our events or participate in our programs. BarnArts’ survival as a community-run, community-focused arts organization depends on the financial support of the community it serves, reinforcing a shared belief that art is essential to our social well-being. One of the areas we continue to expand is our programming for youth. We are very proud that in 2018 we had three adult plays that all had roles for youth actors, allowing our Summer Youth Theater kids and others opportunities to perform with local adult talent. Local high school musicians strut their funk onstage with professional musicians at our annual Masquerade Jazz Funk Winter Music Carnival in March. Our highly successful Summer Youth Theater program, enters its 8th season with a production of Mulan Jr in August 2019! We continue to work with the Barnard Education Fund and the Vermont Arts Council to provide an Artist in Residence program at Barnard Academy along side an Artists-in-the Schools contra dance program in multiple area elementary schools. We are pleased to announce our trio of community theater offerings for 2019 starting with Pulitzer Prize nominated The Clean House by Sarah Ruhl at the Grange Theatre in February. Next is a June open air production of Samuel Beckett’s revolutionary play Waiting for Godot. Finally, in the fall we will be bringing adult theater back to the Barnard Town Hall with a production of the contemporary play Other Desert Cities by Jon Robin Baitz in November. Our casts and crews for all productions will be drawn entirely from our outstanding local talent. Our hosting of the Thursday Night Music Series at the Feast and Field Farmers Market will continue in 2019 as part of our Music on the Farm programming, which this year will see the return of special concerts for international acts. This music program of 20+ events continues to attract increased crowds and provide even more performing and listening opportunities in our community.